Follow us on Twitter to be the first to know about special offers and inside scoop! The evil empire is rushing at light-speed across the galaxies, heading towards Mother Earth. Barely 24 hours ago, they penetrated the last defence line of our galaxy, the Arsion Laser Belt. Millions of innocent people perished in outer space colonies. 70% of our fleet was destroyed during first contact. Our intelligence has now extrapolated their arrival within six days. Conventional weapons cannot stop them. Our last hope is in your hands: The Z-42 Warpstar. Warp into their territories and destroy their leader before they reach Earth. 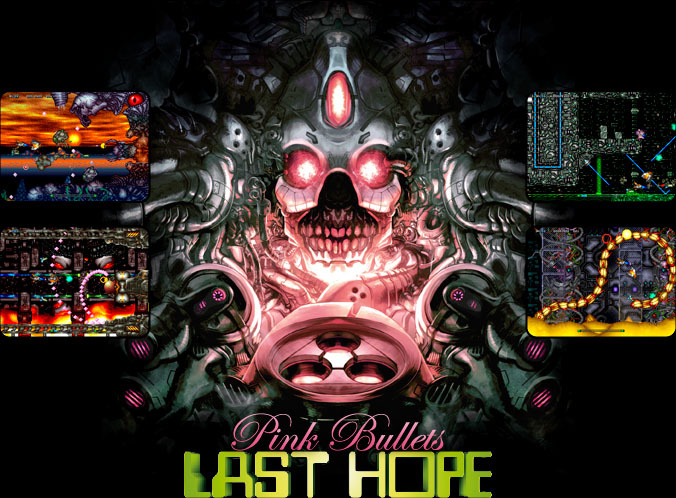 A tactical shooting game with impressive visuals and excellent arcade gameplay. You can raise up your score by making use of two multipliers. The first is the Bullet Absorb Multiplier and the second is the Beam Chain Multiplier. The individual score value of each enemy you destroy does multiply by both multipliers. By absorbing enemy bullets you can increase your Bullet Absorb Multiplier. Additionally you can increase this multiplier by absorbing bonus containers and hidden special bonus items. By chaining enemies, with your full charge beam, you can increase your Beam Chain Multiplier. This Beam Chain Multiplier is decreasing by one point per second while you don't beam chain enemies, so be quick. This NEO·GEO and Dreamcast software is not officially licensed, designed, manufactured, distributed or endorsed by SNK/Playmore corp. of Japan or SEGA Corporation. See Contact for further information. See Privacy for further information.